1. 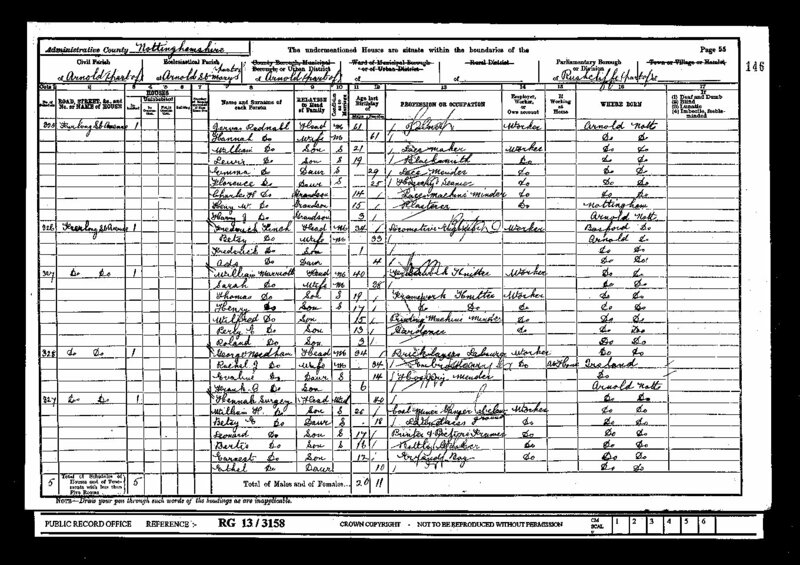 1901 census record (www.pro.gov.uk). 2. Nottinghamshire parish register from Nottinghamshire Family History Society. Arnold ?? Arnold St Marys ?? Arnold ?? Rushcliffe ? ?